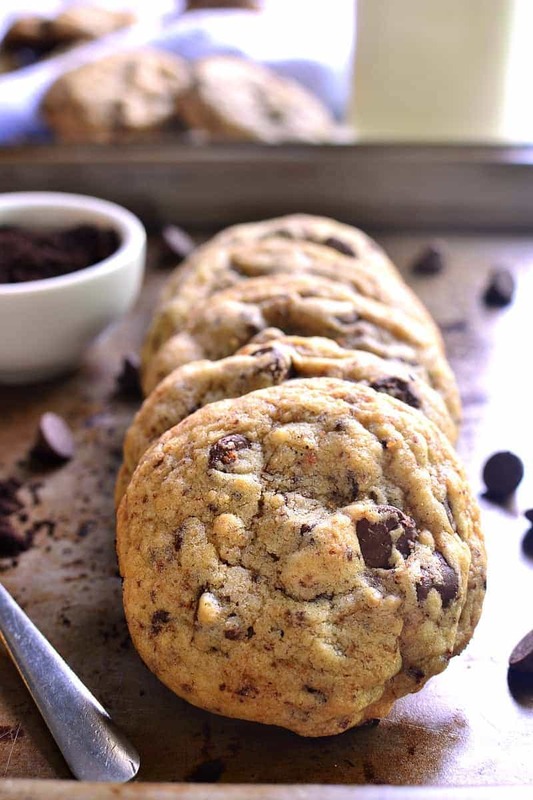 These Espresso Chocolate Chip Cookies are the perfect marriage of two amazing flavors. 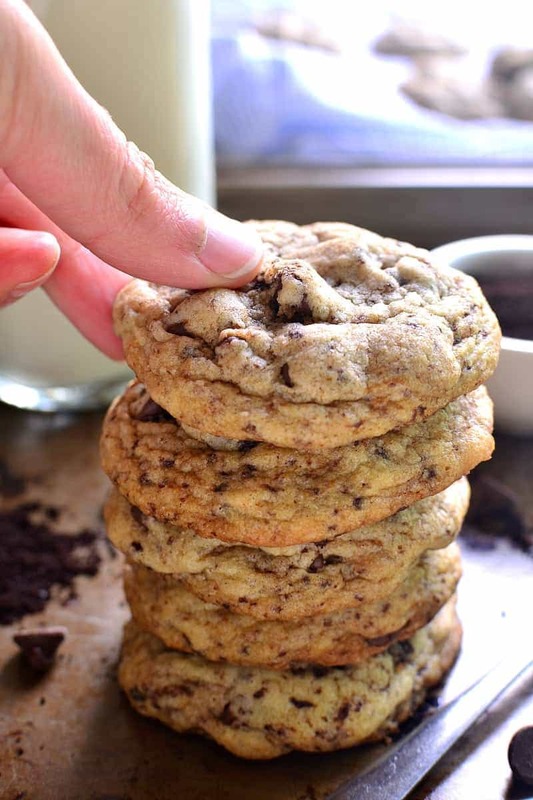 Packed with chocolate chips and infused with rich espresso flavor, they’re a chocolate/coffee/sweet lover’s dream! So we went on “vacation” this past week. And anyone who’s ever traveled with kids knows exactly what I mean by “vacation”. It wasn’t exactly the most relaxing of experiences…..but if I had to do it all over again, I would. With some minor adjustments, of course. It was our first family trip that didn’t involve either a waterpark or a visit with extended family. Instead, we decided to take the kids to Door County, which is made up of a bunch of cute little towns along Lake Michigan, just 3 hours north of us. We stayed at the cutest bed & breakfast type place, swam endless hours in the pool, visited the beach, had some fun meals out, spent too much time shopping, and even got to see our next door neighbors, who happen to have a cabin there. All in all, it was a success! Of course, it was still a vacation with kids. Which means there were plenty of bumps along the way. Like Ellia coming down with the stomach flu on day 2, Myla threatening to wake up the entire family every morning at 4 am, Jorden and I taking the pull out couch so Myla could have her own bedroom (see previous point), and Myla deciding that vacation was the time to practice yelling any time she didn’t get her way. Did I mention MYLA??? And then I learned a whole different set of lessons. About making our own little mini vacation while the kids are doing their thing. If I had it to do over again, I would pour more drinks, listen to more music, maybe even order some takeout after the kids went to bed. 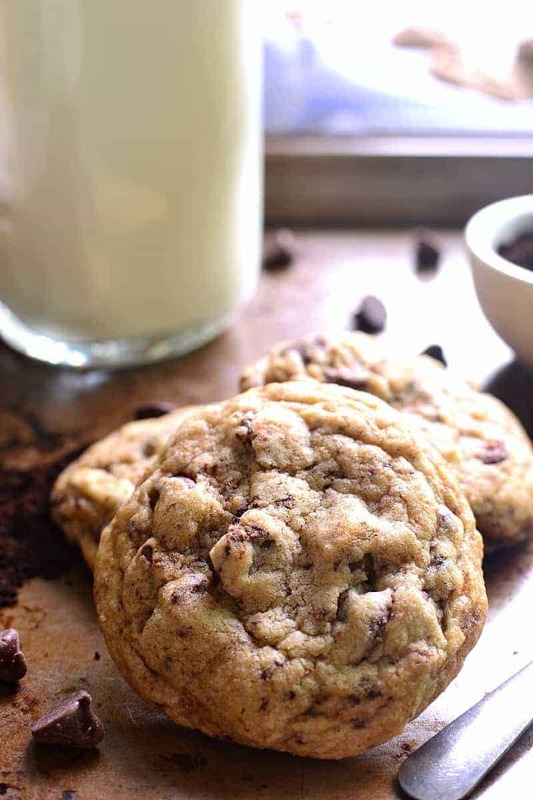 And I would definitely bring a giant batch of these Espresso Chocolate Chip Cookies. Just for me. And maybe for Jorden, too. Because if there’s one thing our vacation was lacking, it was all the rewards of a vacation. Ha! Just kidding. Clearly we enjoyed the time away with our kids, as a family, without the distractions of “real” life. I’m just saying that a few Espresso Chocolate Chip Cookies sure would have helped…..you know what I mean? 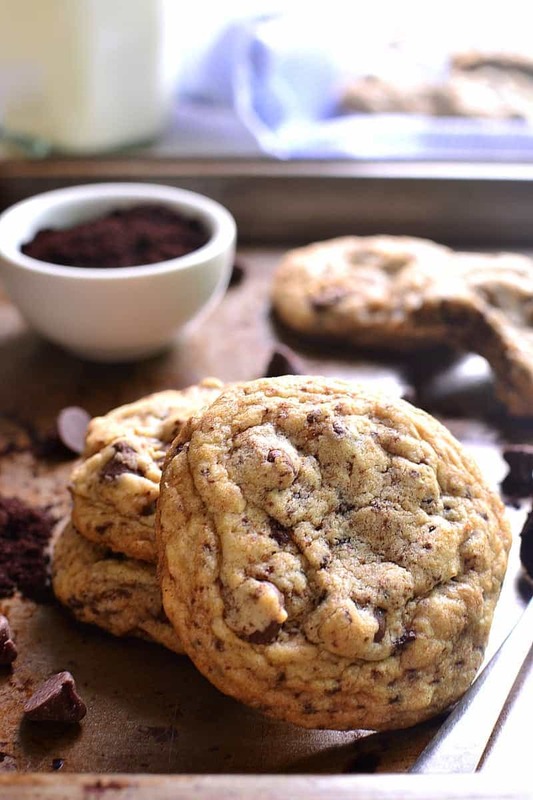 These Espresso Chocolate Chip Cookies are the perfect marriage of two amazing flavors. 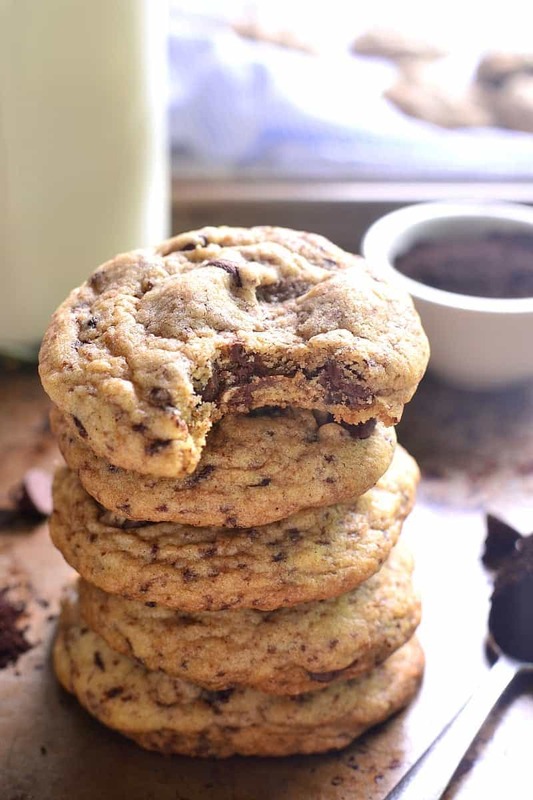 Packed with chocolate chips and infused with rich espresso flavor, they're a chocolate/coffee/sweet lover's dream! 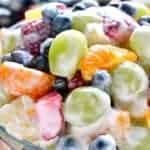 In a large mixing bowl, combine flour, baking soda, and salt. Set aside. In a separate bowl, cream butter, sugars, and vanilla extract until light and fluffy. Stir in chocolate chips and coffee granules. Drop by rounded tablespoons onto lightly greased baking sheets. Bake at 375 degrees for 10-12 minutes or until golden brown. 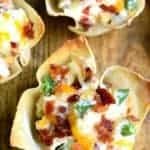 Oh, these look amazing. 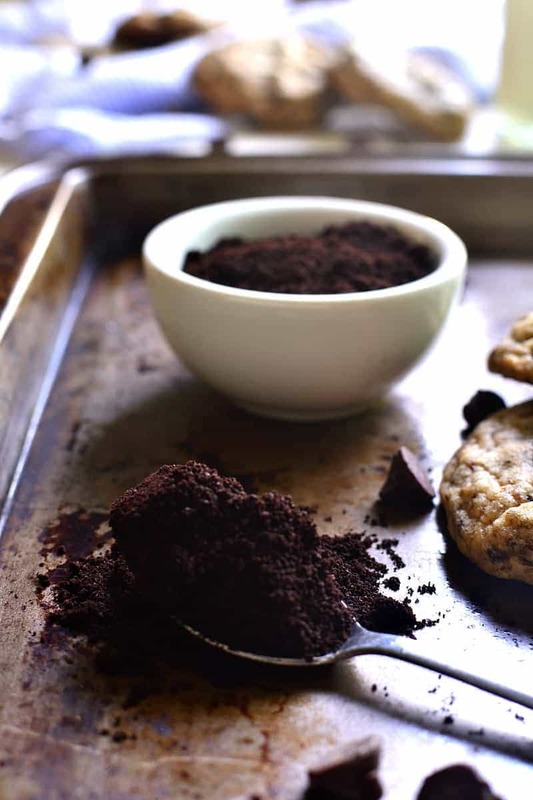 I love chocolate chipped cookies alongside my coffee…and this would save me a step! 😉 Yum! Is this something you could possibly ship to me! They look ah-mazing! Coffee is basically my favorite thing, so I obviously need to make these soon. I love how thick and chewy they look, too! Espresso cookies ? Get out of town! I’m all about these awesome things! I can have these in the morning since they’re coffee right? 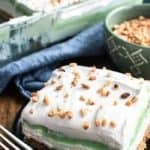 These are not only good as a dessert, they are heavenly with morning coffee! Once again, thanks for sharing. HI,I have espresso powder,will that work. I made these using fresh ground coffee and they came out weird. They were sort of grainy and didn’t taste as I would have expected. I suggest using instant coffee. Could espresso powder be used? Would 1/4 be too much? I’ve made them both ways and felt the finely ground coffee tasted better! I may try a mix of the two…love these! I used instant and they were thick and grainy. I am not a coffee person but overall they were not bad. In a cupcake recipe I just made they said to mix the instant grounds with the vanilla and it worked great. Maybe try that. These are fantastic. Made them as a gift but taste tested them and let’s just say I will be making more lol. 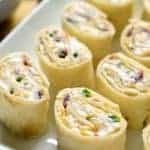 I also love how easy this recipe is and that they came our beautiful with no chill time. 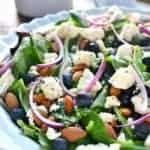 Thank you so much for sharing such a wonder recipe. These are fantastic. Made them as a gift but after test tasting let’s just say I will be making more lol. 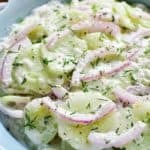 This recipe is is a delight and easy to make plus my favorite part no chill time so thank you for sharing this recipe. It is a keeper. when you say sugar do you mean granulated sugar or cane sugar? Wow amazing! I followed he recipe exactly and got amazing results!!! These seem delicious. 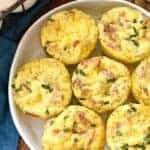 I want to incorporate quick oats into these. Can I substitute some of the flour for oats; say, 2 cups flour and 1 cup oats? A coworker made these and they are a hit around the office. 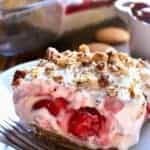 We all asked for the recipe and she sent us to your blog. They are so sooo sooooo goooood!!!! 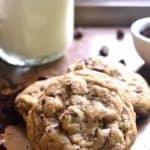 Hi,what kind of flour do you use?Thanks in advance!these cookies look delicious..
Made these last night. I always double a cookie recipe because anything I make like cookies especially, go to a air tanker base where my husband works. (The guys love cookies) I tasted a little bit of the raw dough, the coffee granules in the dough were bitter. I thought this recipe is not going to be good. I was wrong, they were delicious!!! Apparently the coffee granules dissolve in the dough during the cooking process. Gosh these are fantastic cookies. I followed the recipe, no changes. 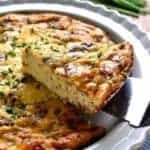 Thank you for this fantastic recipe! Another keeper! Hello! I was wondering, would liquid coffee work? I don’t have instant coffee at my house currently, so I was wondering if adding liquid coffee would make it weird or not. Thanks! Hi, These cookies are simply scrumptious!!! I was just wondering if the cookies should be a hard or soft chewy? 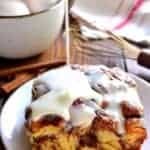 I made these with regular coffee and mixed them accordingly to the recipe .But added coconut ,pecans, and chocolate chips.the batter is yummy and when baked they are chewy. Just made a double batch for the first time. I love coffee fudge ice cream and thought there has to be a coffee/chocolate cookie out there. These fit the bill. They took exactly 10 minutes but are a little darker than in the post. They are delicious. They are now on my christmas list of yummy cookies. Thank you. the coffee taste. I also added 1 cups of walnuts. These turned out exactly like the picture and tasted great. We used dark chocolate chips and it complimented the coffee nicely. When you say brown sugar, are you referring to dark brown or light brown? Excellent! Perfect if you want a little twist to a classic treat. Got this recipe from a coworker and now I’ve made them on multiple occasions. They’re always a hit with my friends. Thank you for the recipe! I love these cookies but mine came out round and puffy, but still super delicious!! Any ideas for getting them to flatten out? I’m at a somewhat higher altitude and arid location and can’t seem to get these cookies to drop. Thanks! Anxious to bake these but would rather know if light brown sugar or dark brown sugar is best before trying. I used light brown sugar.